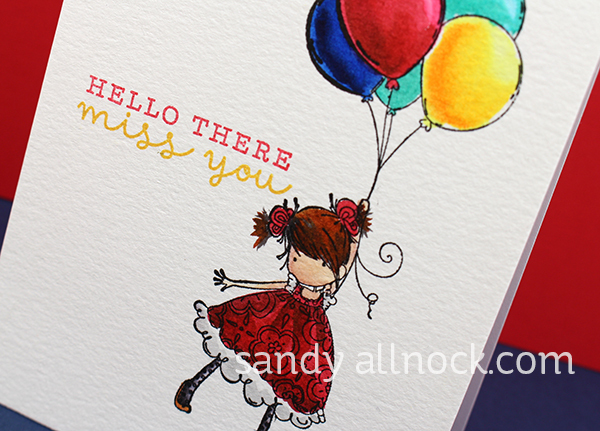 I needed a little Stamping Bella on my desk…and Tiny Townie loves Balloons is one of my favorites. I would love to be carried away like she is! I haven’t used my Zigs in a while, and figured I’d get them out again…and try out letterpress paper with them. They did work nicely, hooray! 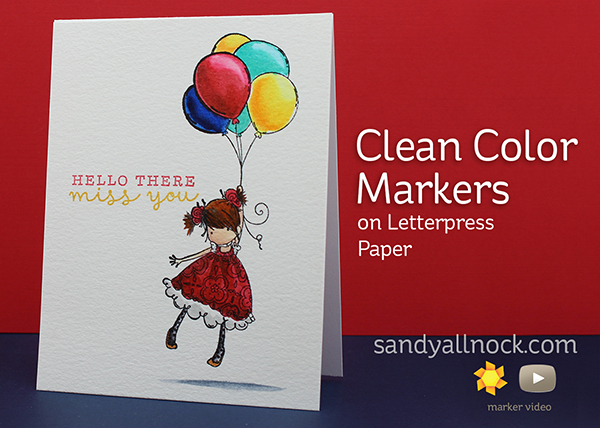 The card is nice and simple – I love when the coloring comes out well and embellishing isn’t needed. Watch the video below or click HERE to see it in HD on YouTube. And I’m using my favorite Hero Arts sentiment set called Everyday Messages – they do have it in stock at their shop even though it keeps selling out all over. I guess it’s not only my favorite! I love the Stamping Bella girls! Great job on coloring this one! My eyes THANK YOU for the labels! I really like your videos and how much knowledge you share with us. Love the card and your videos are always so helpful. TFS! Such a sweet card, Sandy. The Zigs do seem to blend extremely well on your paper. Your colouring is beautiful! And thank you for the label template for my Zigs!